With many major industrial sites throughout the state, such as the Bakken Oil Fields, commercial truck accidents are all too common on the roadways of North Dakota. Big rigs and tractor trailers travel the streets at all hours of the day and night, placing drivers at serious risk of harm. When an accident does occur, it has the potential to cause major damage, from catastrophic injury to wrongful death. Commercial truck accident investigations require extensive analysis and attention-to-detail. 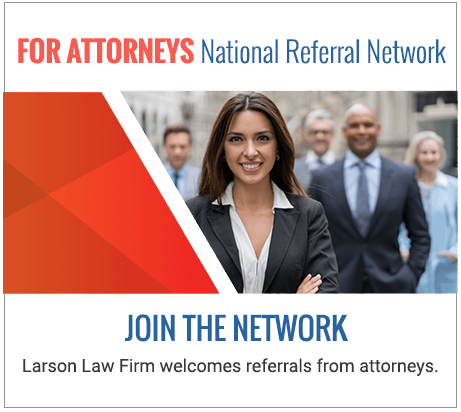 At the Larson Law Firm P.C., our dependable North Dakota truck accident lawyers understand what it takes to fully investigate your accident and develop a solid legal strategy for obtaining full and fair compensation. If you or a loved one has been injured in an accident involving a commercial truck, seek legal advice as soon as possible to preserve your rights within the legal system. Personal injury claims are nothing new for commercial trucking companies. Insurance companies are well-versed in how to deal with injured victims and work in the interests of the trucking companies. 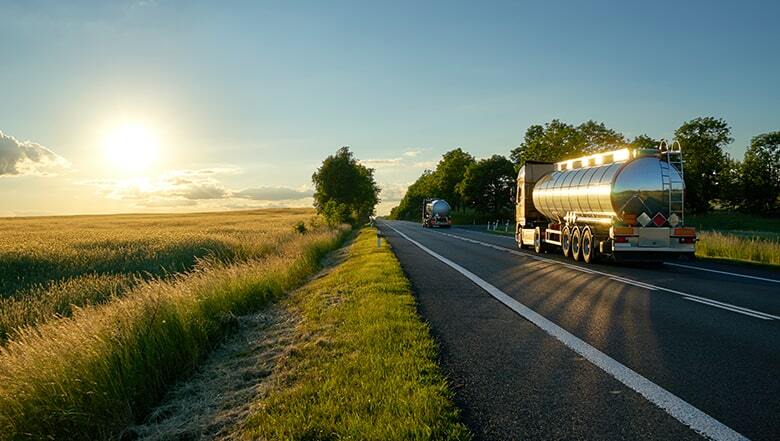 To obtain the compensation you need for your medical expenses, lost wages and emotional distress, you need an experienced North Dakota commercial truck accident attorney on your side to defend you against these powerful entities. At Larson Law Firm, our accomplished trucking accident attorneys work diligently to analyze the circumstances surrounding your accident from all angles. We often utilize experts in accident reconstruction procedures to fully understand how and why your truck accident occurred. Witness testimony is also a useful tool that assists in supporting your claim. There is no step too big or small when it comes to gathering evidence. Our team explores all avenues to provide you with the resources and support you need to make the best decisions for your case. What are the causes of commercial truck accidents? Commercial trucks are typically large, complex vehicles, requiring proper operation and maintenance. When a trucking company and/or driver fails to adhere to established laws and practices, devastating accidents can occur. Our in-depth investigative practices help uncover the specific circumstances that contributed to your accident. Depending upon the details of your case, you may be able to pursue legal action against the driver and trucking company. At the Larson Law Firm P.C., we understand how emotionally and financially stressful a serious trucking accident can be for victims and their families. If you or a family member has suffered injuries as a result of a commercial truck accident, call 701-484-HURT or complete our contact form to schedule a free initial consultation. From our office in Minot, we are proud to represent clients throughout Ward, Williams, McKenzie, Pierce and Mountrail Counties.